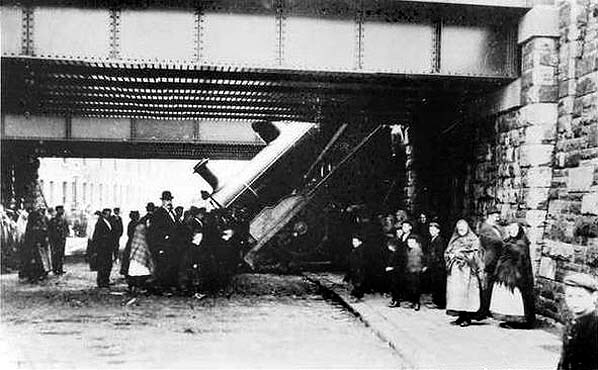 Accident at Accrington station on 17th July 1913. The 10.20 pm. down goods train from Rochdale to Fleetwood got out of control after passing Baxenden, and leaving the rails at the south end of Accrington station collided with the 6.10 pm. goods train from Chorley to Moston, which was standing at the up fork line intermediate home signal. The drivers of both trains were badly injured.